Lost lives, pets, homes and property all part of the tremendous personal cost of the latest California wildfires. This has been the worst year for wildfires in California history. Now the survivors face the devastation, cleanup and confusion bordering on a “state of shock”. At present the number of those who are still considered missing from the continuing California wildfires in both the Los Angeles area and in the Camp Fire area has been reduced from earlier estimated as has the death-toll. We know that for everyone involved from fire fighters to friends and family of those who've died or who are still missing and almost all survivors are still suffering in some way. The fires are contained but have left tremendous damage behind. Imagine being at these scenes with people surrounded by walls of flame everywhere devouring homes, cars, just about everything all around. For weeks there hasn't been relief from this nightmare till now. Then the situation for firefighters continuing their work returning to these fires every day has been exhausting, dangerous and terrible for their health. With all the wildfires in California in 2018 the estimates of damage still vary. 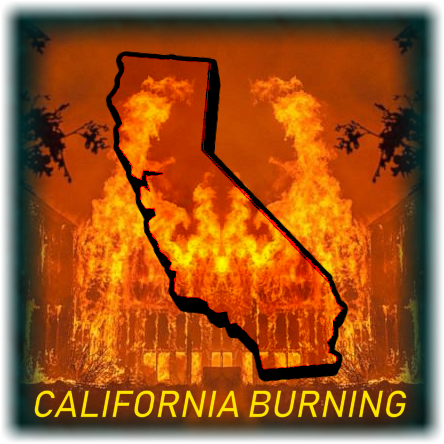 In California alone, this past year there were over 6,228 wildfires burning. Over 85 fatalities which has fluctuated from up to 91 and back down again. Nearly 20,000 structures destroyed with most home contents wiped out. The financial cost of these fires may rise above $3.5 billion dollars which includes nearly half that amount in fire suppression and later flooding costs. There also all those losses in personal property, record/paperwork, and daily necessities which will take months to deal with. Thousands of people will have lost nearly everything they had. Some have suggested that forest management has not been working hard and smart enough to keep towns and residents safe, there are other reasons. Fire department leaders have described the problem as the encroaching “urbanization” of the nearby areas up to and into the forests. Also there were thousands of dead trees in the wildfire areas. As everyone would like natural surroundings with lots of trees, things have gotten crowded around the shrinking woodlands. When you consider the combination of these human factors in the setting of fires each year with the increase of human density of residential areas, there are bound to be greater wildfire dangers increasing in the future with the added heat, strong Santa Ana wind and drought. Then there is the problem of adequate notifications. Residents often see and hear about smaller fires all the time and they become jaded. Other people were frustrated about not getting timely warning of these incredibly fast moving fires. Confusion about the level of urgency sets in with the many fire disaster warnings that have gone out in recent years. Part of that confusion has to do with all the different methods of warning including text messaging, email, social media, reverse 911 notifications, cell phones with different carriers, operating systems and upgrades, land lines, as well as all the new and old versions of TV, cable, streaming and radio. There's no one system that everyone knows and understands. Then there's shortwave, police band, or CB radios which can be lifesavers for those few who know how to use them. Other complicating factors have been the large number of Seniors in these fire prone areas. Many seniors have mobility issues which in the very least tend to slow everything down. The combination of health complications, hearing and vision problems, plus the multiple medications many seniors need also cause increased confusion and then panic as their slower pace reduces their already short escape time. There have been many nightmarish stories, photos and videos of those unable to escape the fires in their cars. People were driving through the flames! Many died in their cars, incinerated. Roads became jammed as the fires quickly approached. This led to worse traffic blockage as many residents abandoned their cars to take off on foot running along the narrow mountain roads with children, pets and whatever they could carry out. Some may not have made it to safety. There's a good chance the future will be a repeat of this year's wildfire disasters. In that case it is important that reconstruction be done in a way that permits easier exit in wildfires and careful consideration of the location of homes in high wind drought areas. 10 days’ worth Supplies to have on hand. Having a go to shelter. Preparedness for elderly and those with disabilities. Just as with the dangers of hurricanes for the East and Gulf coast areas of the U.S. The climate is forcing us to be better prepared for quick moving and changing weather disasters. Familiarity with wildfire risks locally. Learn home fire prevention techniques. Grounds tools such as rakes, shovels and other tools. Clean grounds and roof of leaves and branches. Have an exit strategy both in the home and out to safety. Set up a meeting place and communication plan in the event of wildfire. Have a friend or relative as contact for your family. Be ready to leave with supplies and vehicle. Proper clothing for both night and day travel. Have portable radio with local news. Know shelters and/or friends and family to stay with in an emergency. Use breathing filters for smoke and or dust. Do not return home until it is safely and officially ready. When home check for smoldering and hot items. Watch and protect children and pets from hidden dangers. Entertainment Industry Foundation: Helps firefighters and other volunteers. North Valley Community Foundation: Raises money for fire victims. Salvation Army: Provides meals and shelter. • Property cleanup, repairs and rebuilding. Another center is in Thousand Oaks. at the Thousand Oaks Grant R. Brimhall Library, 1401 E. Janss Road. When you picture preparedness, at first you may think of preppers in camouflage clothing, military style backpacks, and equipment. That isn't the whole story with National Preparedness Month 2018. FEMA, the Federal Emergency Management Agency set September as National Preparedness Month timed with seasonal storms, flooding in some areas, wildfires and drought in others. It was designed to reduce deaths, injury and property damage as well as reducing strain on emergency services. Actually we should remember the important messages of Preparedness Month every month. When hurricanes approach in places like South Carolina this year, we get warnings from television and radio reports and later there are local directions to either evacuate, stay at home or go to shelters. After all the warnings, we better be ready. That's where National Preparedness fills in a some memory gaps of what to do in a major emergency. The American Red Cross supports the FEMA National Preparedness Month by helping spread the information FEMA provides. But Red Cross and FEMA can only do the big picture work for whole regions. We're responsible for our own safety. Having lived through many hurricanes, and blizzards which brought extended blackouts and other stormy situations, there's always more to learn and remember. While National Preparedness Month focuses mostly on hurricanes, the advice that FEMA and Red Cross provides work quite well for all the other natural disasters such as wildfires, flooding, blackouts, tornadoes and more. Most of what national preparedness month puts out for Preparedness Month is not new, particularly for Preppers, but it is an important reminder and a call to action to take this subject seriously. Hurricane Florence was the big surprise of the 2008 hurricane season (so far). Florence caused tremendous flooding damage and already 48 deaths both from the storm itself and flooding. As with Hurricane Maria last year, there are always after-effects from these storm. Usually homes and businesses in low-lying areas will be flooded. This has been the case with Hurricane Florence. Actually every month should be preparedness month. To rush around in hurricane season preparing as it's happening is a little late. But the advice that FEMA and Red Cross provide for preparedness, if done carefully, can save lives and a great deal of grief. Now that September is over we can assess what we should do even better to prepare for the next major storms and wildfires in addition to major snowstorms and power outages coming. We need to prepare, double-check and be ready. This is a time to make sure that we have everything in place for all kinds of disasters. Many times these disasters create multiple additional problems which we need to consider in our plans. The major disasters we have in the United States over the past 10 years have been hurricanes on the East Coast in the Gulf of Mexico and wildfires in California and other areas of the West. September is an important part of the hurricane season and so this is timely. Preparation for these large scale disasters needs to be year round by reviewing a disaster plan, checking supplies, making sure about evacuation, etc. As we've seen in places like North and South Carolina with Florence, and with hurricane Maria in Florida and Puerto Rico, being ready is vital. We all must have a preparedness plan in place in advance of the hurricanes, wildfires, tornadoes or other disasters. So these survival “tips” that FEMA provides after many years of experience with every kind of disaster are a list of things to do to, to review, and to have in place ready for everyt kind of disaster to save lives and homes. FEMA, which so many Americans see as a last resort savior in times of desperate need after storms, is encouraging us to have our plan and necessary supplies all ready to avoid becoming a casualty. FEMA and Red Cross provide valuable services before and during storms and other emergencies that warn us of what we should be expecting. Both agencies have phone applications to update us of changing weather and instructions for evacuation, staying home or finding other shelter. Not everyone wants to follow these instructions and some don't pay attention but for the rest of us it would be wise to follow their guidance as well as the directions of local officials and authorities. We have to be proactive and check for changes in evacuation and shelter information in our area. Often these change without much warning. That list starts out with a plan of action for either evacuating or staying at home in the case of hurricane for instance but it's true for all emergencies. In terms of your plan of action, everyone in your home or family should know what the plan is to either evacuate, go to a shelter, or stay-at-home with the supplies you need in a chaotic and changing disaster situation. That plan should be discussed practiced and checked to make sure nothing's missing and everyone knows what to do. If the group or family somehow gets split up right before during or after the storm or other disaster, everyone should know what to do to link up again and where to find essential survival items. Each person should have their own backpack, “bug-out bag”, or duffel bag. So a plan of action needs to be established and familiar to everyone. It also has to be flexible in case we need to quickly evacuate by vehicle or on foot to some new destination. We need a plan even if were staying at home. It should be practiced regularly. For a family, it's important to have everyone be familiar and up-to-date with the changing plan for either evacuation, staying at home or going to shelter. This way if the family splits up there's a plan for communicating and getting back together again. If someone gets separated in a storm or other disaster it would be important if they have their necessary supplies with them in a backpack or duffel bag. Storms change hour by hour and instructions by officials and from authorities may change and we must all be ready to adjust and have our supplies in the form of kits be handy at all times. FEMA recommends that we stay informed about approaching hurricanes or other disasters. Through television, radio, and emergency applications for the telephone and computer, we must be tuned in for instructions about whether to evacuate or stay in place at home or find other shelter nearby. Both FEMA and Red Cross have emergency phone and computer applications for this purpose. In terms of being prepared, staying informed is vital for our survival during hurricane or other disaster. To download the FEMA mobile app. FEMA explains that if we're evacuating, we need to have our vehicle ready loaded and packed. The vehicle should be in good working order with good tires and full tank of gasoline all ready to move. In order to make the evacuation successful, we need to know what a good evacuation route will be. Once that's established, will need good maps in paper form and online through our phone's FEMA or Red Cross emergency apps. Wind, rain and other weather problems may change our plans so have alternates and stay informed. On the road or wherever we stay we need supplies on hand in a portable kit such as backpack or duffel bag. Our kit should hold approximately three days worth of food, and separately bring or have at home a gallon of water per day, for each member of our family per day. Don't forget your pets especially if you leave home. Flashlights and portable radios and their batteries. Both paper and saved digital maps in case of communication is disrupted. We'll need food which is nonperishable either dried or canned for each person for three days. Include bleach in case it's necessary to purify water for personal use. Have extra cash in the form of bills and coins in case electricity goes down. If necessary, prepare to evacuate with pets their food and water. Many shelters do not allow pets or other animals unless they are necessary to assist the handicapped. It's good to know following evacuation routes where there are pet friendly hotels, kennels or other ways to keep your pets safe. FEMA recommends having copies of all important papers such as birth certificates and other types of identification as possible. Once the storm passes in case files have been destroyed or lost in the storm, having portable copies will be very important not just in the case of identification during the evacuation but also in the case that the house or home has been destroyed. INSURANCE CAN SAVE YOU THOUSANDS! Lastly, a very important recommendation from FEMA is to have flood insurance. Many homeowners insurance plans don't include flood insurance. FEMA says 1 inch of flood water in a home is equal to approximately $25,000 worth of damage, more if there's expensive equipment and home office. When hurricanes strike, the damage costs can prohibitive. Since it's estimated that roughly 40% of Americans don't have $400 worth of savings for a “rainy day” many flood victims won't survive financially. Then there's the sad fact that roughly 85% of flood victims have no flood insurance at all. It's important to know based on where you live and what kind of disasters are most likely whether or not your current insurance covers those disasters. Many people who lost their homes along the East Coast, especially Florida, and in the Gulf area across to Texas, did not have flood insurance. Not only did these people lose their homes and everything in them, but after the storm it was very difficult financially to start over. So both FEMA and Red Cross put special emphasis on making sure you have coverage first for flood damage and whatever may be applicable where you live. For The situations where we'll be evacuating by vehicle or to a local shelter, it's important to know how to turn off or disconnect your gas, and in winter turn off the water and if possible drain out the pipes. Coming in Part 2 of this information will be about seniors prepping for disaster situations. Are Americans Unfit for Survival? Recently the U.S. Army complained again that in their efforts to expand military size and strength to new goals there aren't enough young people who qualify for the job. Large numbers of them are so out of shape and in many cases overweight and these are the volunteers for the job. They want to join. 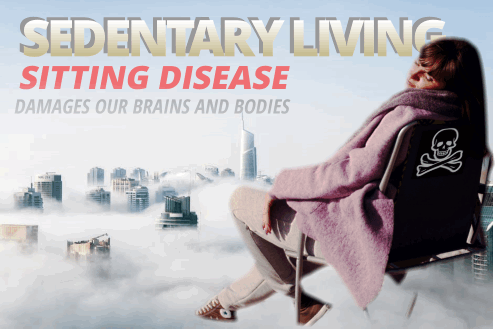 largely because of sedentary living. they're overweight to the point of obesity and large numbers of them are technically obese. These young people are so out of shape that the military feels it would be either too difficult or impossible to work these applicants into shape in any reasonable amount of time. Sadly, it's not just the young people who are so unfit they don't qualify for basic training. Among the general population sedentary and out of shape individuals form the majority. The problems that accompany weight increases over the years stem from lack of physical activity, poor meal quality, snacks and drinks. A big additional reason is sedentary living and lack of any kind of an active personal physical health goal. With this set of contributing factors added to the aging condition of Seniors, Boomers, and retirees and we can see how we have a situation which is not good, particularly in times of rising costs and proposed cutbacks in healthcare services. Any interruption or breakdown of medical services would be devastating for large number of Americans. This growing health crisis isn't being addressed by public leaders, mass media and certainly not by the public. There have always been commercially packaged diet plans and meals, exercise programs which work very well for certain people but are only temporary for most customers. As a nation we just drift along where our televisions and the internet lead us which often is to more food addictions and more couch time enjoying seeing lifestyles of the fit and wealthy. Seems like we need a plan for all age groups which is a no-brainer and doable for everyone. No fancy shoes or clothes should be required and the food should be available locally. One option which we're always reminded of is walking. On television we see pharmaceutical ads starring people with all kinds of physical problems from pain and skin problems to depression and everything in between made happy and free to swim, walk, run, and enjoy fresh air and sunshine. Most people at home watching this stream of quick fix drug ads never seems to see themselves get into action. Sadly, the only action for the tube audience is to walk to or reach for snacks. In time television may be completely replaced by entertainment on other kinds of electronic devices but the physical activities at home and are even more grounded in chairs and the couch with the twitching fingers active with games and typing messages. Even sports which glorifies fitness, agility, and the rewards of hard physical training is played with a small number of team players surrounded by an audience of hundreds, thousands, and perhaps millions of viewers watching television glued to their seats often eating and drinking poor quality stuff. All leads to bad health and an increasingly overloaded healthcare system for the whole country. Soon the whole medical, and national healthcare system will be inundated with the number of overweight and sedentary patients from kids to Seniors who have trouble getting up and around. The side effects of this lifestyle are endless but are primarily heart problems and other circulatory complications, and constipation which includes many organ problems caused by backed up waste throughout the body. Lastly the obesity/sedentary problem debilitates our whole immune system by having to deal with the sheer amount of backed up poorly digested low quality food in our systems. We need personal action on a daily basis. We need to be up and around to keep the body and mind from stagnation. For years doctors have recommended a half-hour to an hour per day three times per week for aerobic exercise. Something that gets the heart pumping where you can work up a bit of a sweat. Now many doctors are saying that 3 hours of aerobics per week does not erase the damage done by a sedentary lifestyle which often includes a desk job or school desk, commute sitting in a car or mass transit and then dinner followed by relaxing couch distractions. With frequent full body motion we help circulation throughout the body and especially to the brain! Health specialists agree that while we need to be sure to get proper nutrition from our meals and what we drink, we also need to be just as diligent in the matter of cleansing ourselves internally, our innards. By periodically eating less, and eating more selectively to cleanse our digestive system we solve a lot of problems. Which gets us back to expecting services we take for granted now like healthcare, emergency hospital services and doctor's office visits which may not be affordable or even possible during disasters or economic hard times. We shouldn't have to wait for problems in the financial or medical world to force us to deal with health issues within our control. Healthy diet, plenty of clean drinking water and exercise plus getting up and around every waking hour will help.